Illinois congressman, Zionist organization slam State Department report blaming Israel for terrorism, whitewashing PA incitement. A new report published by the US State Department criticizing Israel and largely ignoring the Palestinian Authority’s financial support for terrorists sparked a bitter backlash, with some characterizing the document as “anti-Semitic”. The State Department’s annual Country Reports on Terrorism for 2016, published last Wednesday, laid the blame for violence against Israelis at the feet of the Jewish state, while praising the Palestinian Authority for rarely making “explicit calls for violence against Israelis”. In the report, the department claimed that terrorism against Israel was fueled not by anti-Semitic incitement in the Arab sector, but Jewish construction in Judea and Samaria and “a lack of hope” among Palestinian Authority residents. Incitement in the Palestinian Authority was only indirectly alluded to, with a passing reference to what the report calls “the perception” that Israel is seeking to alter the status quo on the Temple Mount. “Continued drivers of violence included a lack of hope in achieving Palestinian statehood, Israeli settlement construction in the West Bank, settler violence against Palestinians in the West Bank, the perception that the Israeli government was changing the status quo on the Haram Al Sharif/Temple Mount, and IDF tactics that the Palestinians considered overly aggressive,” the report claims. Evidence of the PA’s improved behavior, the report claims, is the alleged rarity of open calls for violence against Jews and explicit denials of Israel’s right to exist. No mention is made in the report of funding by the PA and the ruling Fatah party of terrorists and their families, who receive generous stipends if relatives are killed during or jailed after terror attacks against Israeli Jews. The State Department also attempted to compare the relative handful of Jewish "extremist" actions – mostly vandalism and graffiti – to Arab terrorism, dedicating more space to documenting acts by “extremist Israelis” than “extremist Palestinians”. To hide the lopsided ratio of acts, the report discusses even minor acts of vandalism by Jews, while ignoring the thousands of stone-throwing incidents, firebombings, and other attacks by Arabs to only list fatal terror attacks. While the report was based in part on work done during the Obama administration, according to the Conservative Review, much of the anti-Israel rhetoric found in the report was not present in similar Obama-era reports produced by the State Department, suggesting it was added by department officials after Secretary of State Rex Tillerson was sworn in. Illinois Congressman Pete Roskam (Republican) slammed the report last Thursday, calling upon the State Department to retract the report. “At the highest level,” Roskam noted, “the Palestinian Authority leadership directly incites, rewards, and in some cases, carries out terrorist attacks against innocent Israelis.” Roskam added that the root cause of terrorism in the area was not Israel, but the PA leadership. 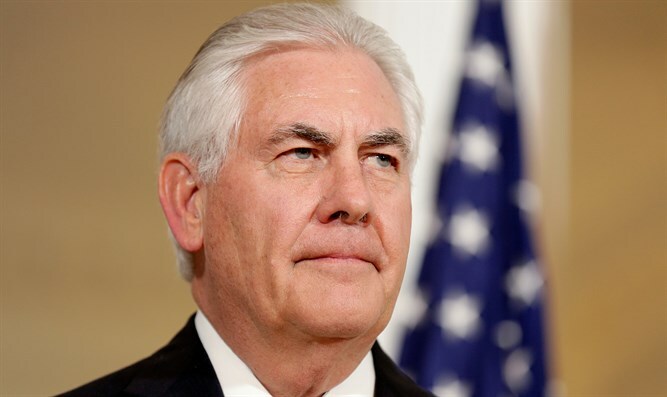 On Monday, the Zionist Organization of America issued its own response to the State Department report, calling the document “bigoted, biased, anti-Semitic, Israel-hating,” and “error-ridden”. The ZOA lambasted Secretary Tillerson over the report, and demanded his resignation.